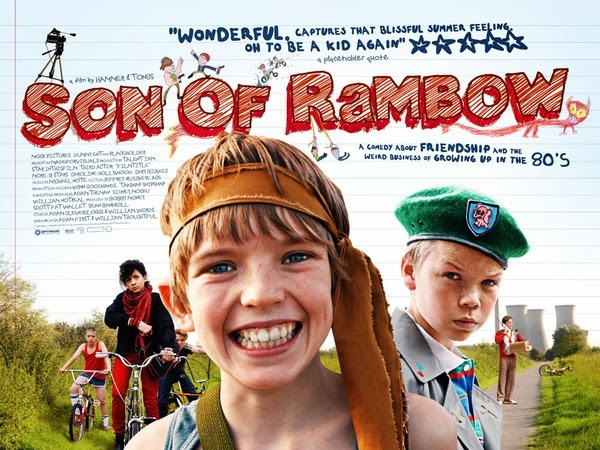 Garth Jennings’ 2007 film Son of Rambow sets the stage for a spectacular clash of cultures. Will Proudfoot and his sheltered upbringing rigidly proscribed by the Plymouth Brethren, to which his family belongs, are set immediately on a collision course with Lee Carter and his feral lack of supervision. Lee bootlegging the same film that Will’s sect opens the film by protesting creates a drastic and immediate comparison. The Plymouth Brethren’s protectionist insistence that such worldly influences as the cinema will corrupt those who indulge in them is put to the test as Will engages in Lee Carter’s world, and ultimately fails to come to fruition. There are multiple characters and scenarios throughout the film that seem to embody classifications of the media effects discipline. Interestingly, although Media Effects leans toward a protectionist stance regarding media consumption, the film, using the character arc of Will Proudfoot and the traction of his unlikely relationship with Lee Carter, seems determined to make a case for a freer and more optimistic paradigm for media encounters. The Plymouth Brethren sect is depicted as a somber, tense, and pessimistic congregation. 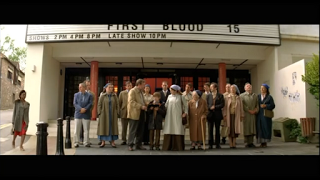 Their protest in front of the theater where First Blood is screening is illustrative of concerns that mirror many of the questions addressed by the Charter Motion Pictures and Youth Study. “What sort of scenes do children see when they attend theaters? How do the mores depicted in these scenes compare with those of the community? What effect does what they witness have upon [children’s] ideals an attitudes? Do they affect the conduct of children? Are they related to delinquency or crime?” The Plymouth Brethren are clearly concerned with media having an effect on viewers, and they are deeply suspicious of aberrant, corrupting influences. Under such a culture, Will is sheltered from nearly the entirety of pop culture, and it renders him socially handicap. Only once a series of unlikely events leads to his viewing of First Blood does he have a common reference point with his peers. 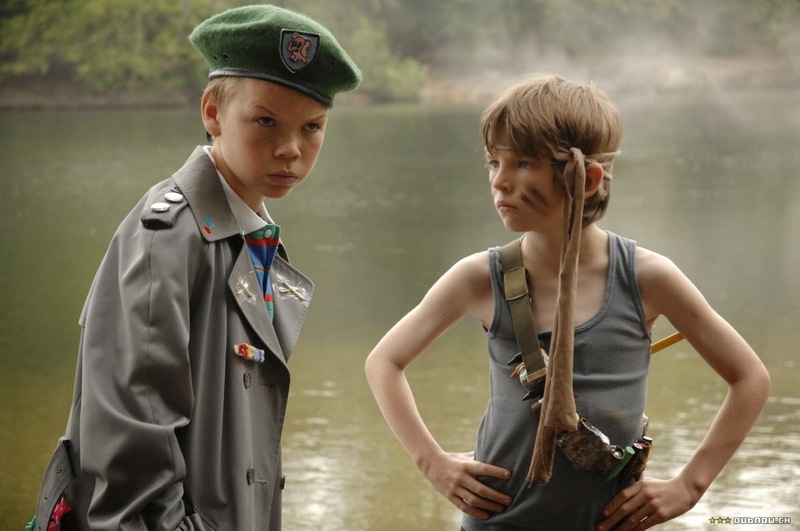 Lasswell pointed out that the formation of Attention Aggregates relies upon common symbols of reference, and only once Will Proudfoot becomes acquainted with the world of Rambo does he have the common symbols of reference to become the center of the social project that “Son of Rambow” will become. Likely because it was his first encounter with any such text, Will’s response to it was far less conditioned than that of any of the other children in the film. As a symbol specialist (Lasswell) he is the only child engaging with the text as a manipulator/controller rather than a mere handler. His conception of the concept of Rambo as plastic and manipulatable contrasts with Lee’s conception of First Blood as just another movie – something to consume and discard – and he has consumed enough films that he has “cultivated” a conception of films as a consumable good, and less of a text that he can engage in . 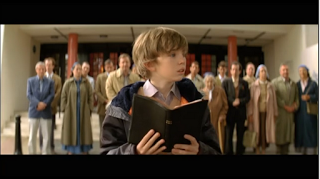 His surprise at Will’s pronouncement that he is the “Son of Rambow” shows that he had not thought to engage with or manipulate the text in this way. If, as Gerbner defines, cultivation is “the independent contributions television (or media) makes to viewer conceptions of social reality,” then viewing “First Blood” clearly cultivated some conceptions in Will’s character. However, viewing of the film does not itself account for the zeal and ambition that follows. The film seems to counter or complicate this definition by suggesting that the text could only catalyze beliefs, interests, and convictions that were already in place in Will’s personality and imagination. 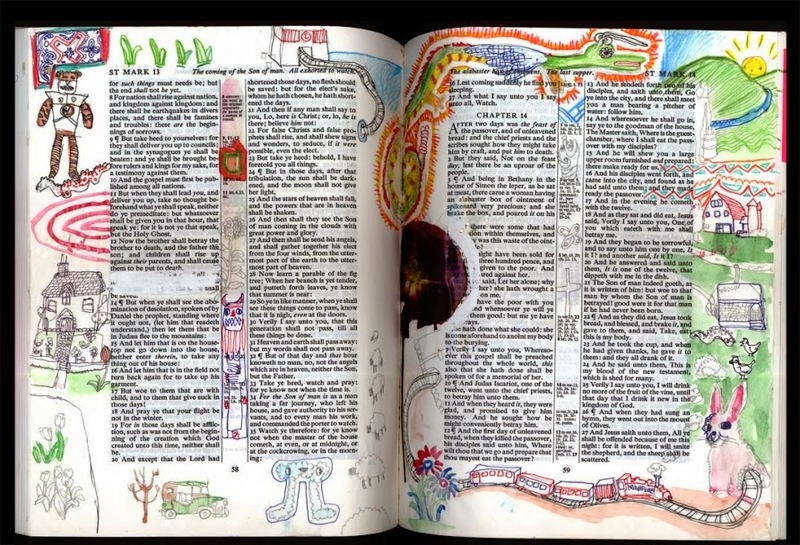 Will’s overactive imagination and his apathy toward the Plymouth Brethren’s imperatives had already been clearly illustrated through his whimsical drawings in his Bible. His wholehearted embracing of the narrative world of Rambo may have been a surprise, but it was not a shock. The manner in which Will manipulated the Rambo narrative speaks to Gerbner’s concept of “resonance.” Having lost his own father to a brain aneurism, Will created an opportunity to save a figurative father figure. Gerbner said that media will resonate with an audience when “everyday reality and television provide a double dose of messages that resonate and amplify cultivation.” The lack of a patriarch in Will’s home is depicted as a point of angst throughout the film, and for Will to act as a media manipulator involved in creating a narrative that resonates with his personal life shows an inversion or reversal of Gerber’s unidirectional parameters of resonance. Lee Carter also proved an interesting foil to Gerbner’s “Mean World Syndrome”. Claiming that exposure to violence in media would “cultivate an image of a relatively mean and dangerous world in [one’s] conception of reality,” Gerbner proposed that heavy exposure to the world of television cultivates “exaggerated perceptions of the number of people involved in violence in any given week.” Lee is certainly introduced in the film as a character inundated with violent media, and with a marked pessimism about the people he interacts with and their intentions toward him. 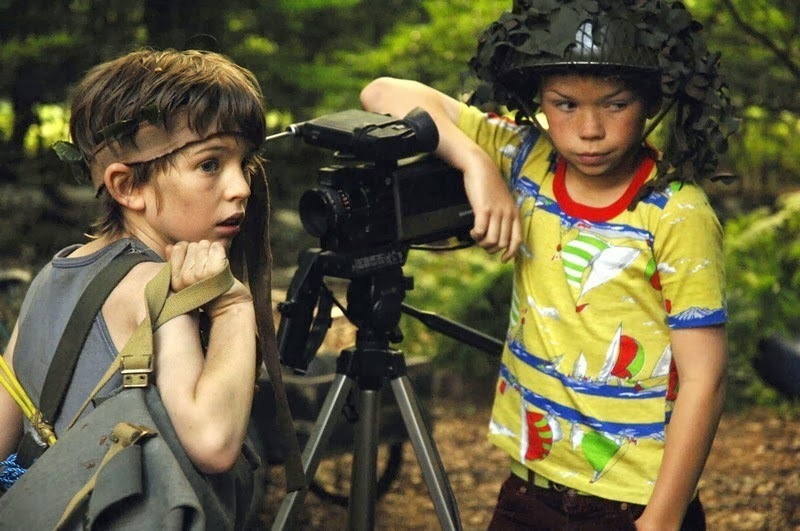 However, the film clearly illustrates that a factor outside of media (in this case his friendship with Will, and their joint project of creating the “Son of Rambow” movie) have a marked influence on his outlook, which within the scope of the film seem to have the opposite effect and in a much more pronounced fashion than Gerbner’s description. 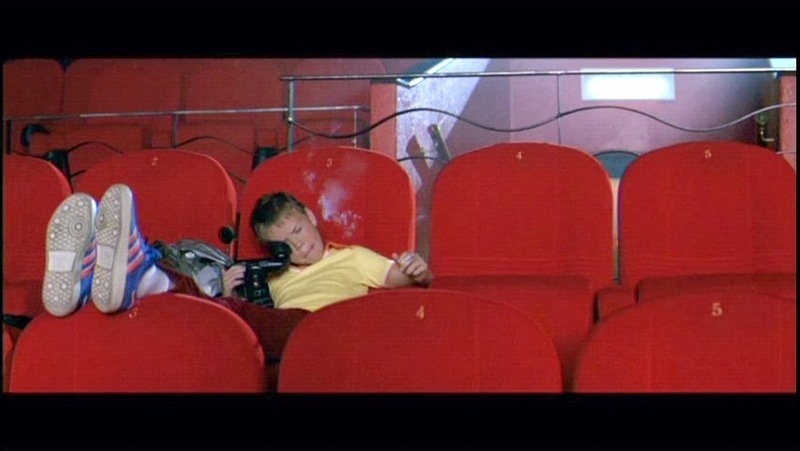 While the film explores the expectation that exposure to a film as violent as “First Blood” could lead to problematic behavior, it definitely depicts both Lee and Will as being enriched by their encounter with that text and with one another. It depicts interpersonal relationships as being a more important factor than media influence in determining the effect of media (not altogether incongruent with Katz and Lazarsfeld’s discussion of small groups and a 2-step process of media effects.) 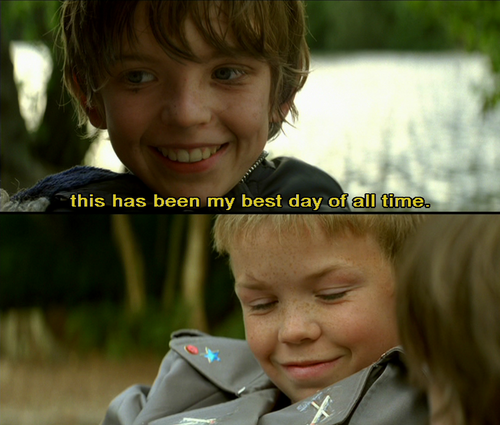 It also depicts Will’s experience with the text as being so full of joy as to be transcendent. This type of engagement is conspicuously absent in the media effects texts we have explored, and Jennings’ film frames this omission as the most important thing about engaging with a film text. Charters, W. W. 1935. Motion Pictures and Youth: A Summary. New York: Macmillan. Lasswell, Harold (1948). Bryson, L., ed. The Structure and Function of Communication in Society. The Communication of Ideas. New York: Institute for Religious and Social Studies. Gerbner, G. (1998). "Cultivation analysis: An overview".Mass Communication and Society, 3/4, 175-194. Katz & Lazarsfeld (1955). "Personal Influence". New York: Free Press.